This Illawarra Cutters forward is dealt with by Newtown Jets defenders (from top down) Todd Murphy, Blake Ayshford and Andrew Pearn in the NSW Cup match at Henson Park last Saturday. Photo: Gary Sutherland Photography. 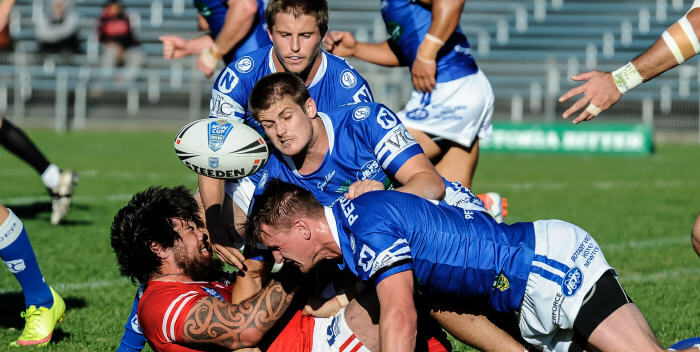 Report on the 9th round VB NSW Cup match between Newtown and the Illawarra Cutters, played at Henson Park on Saturday, 9th May 2015 by Glen ‘Bumper’ Dwyer. 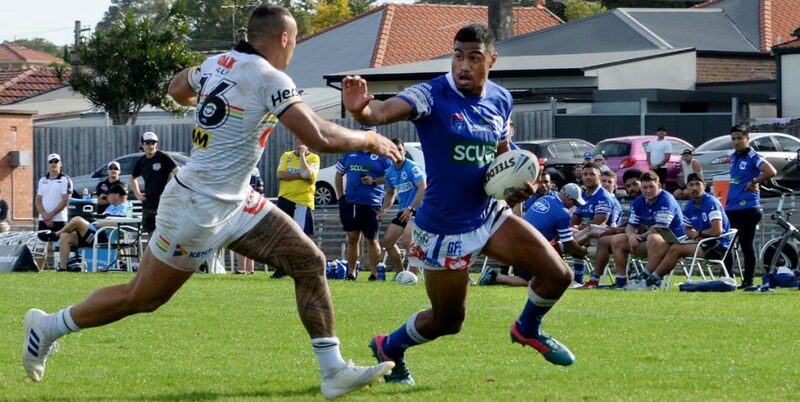 Determined and disciplined defence in the first half put Newtown in a strong position against the Illawarra Cutters at Henson Park last Saturday. The Jets led 10-0 at half-time but slackened off early in the second half, allowing the St George-Illawarra partnership club to draw level at 10-all. Newtown came home strongly in the game’s fourth quarter, scoring three tries to pull away to a much-needed 26-10 win. 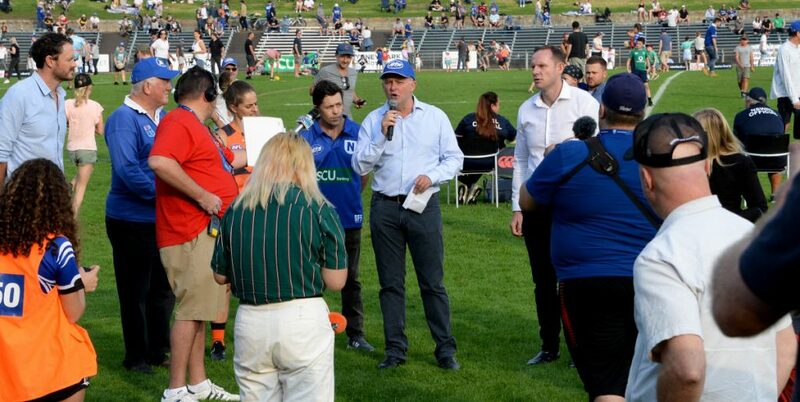 It was a big day at Henson Park with a successful Ladies’ Day promotion being conducted, along with two high quality curtain-raisers that helped create a great atmosphere for the main game. This season’s biggest crowd saw the Jets turn on a determined first half display against an in-form opposition looking for their third successive win. Newtown defended well for an extended period and then scored tries in the 24th and 33rd minutes to set up a 10-0 half-time lead. Coach Greg Matterson praised Newtown’s first half defensive effort, emphasising that it showed what can be achieved when players work hard for each other in shutting down their opponents. He warned his team that the Cutters had plenty of attacking ability, especially on their edges. Newtown’s defensive vigilance wasn’t maintained early in the second half and the Cutters seized on this reduced intensity, running in tries in the 47th and 53rd minutes to draw level at 10-all. The game was up for grabs and Newtown regrouped effectively, putting pressure on the Cutters at their end of the field. Newtown’s halfback Todd Murphy edged Newtown ahead 12-10 with a well-struck penalty goal with 17 minutes left to play. The Jets turned on some good attacking plays on their right-hand side that saw winger Jacob Gagan collect two tries in the space of three minutes. 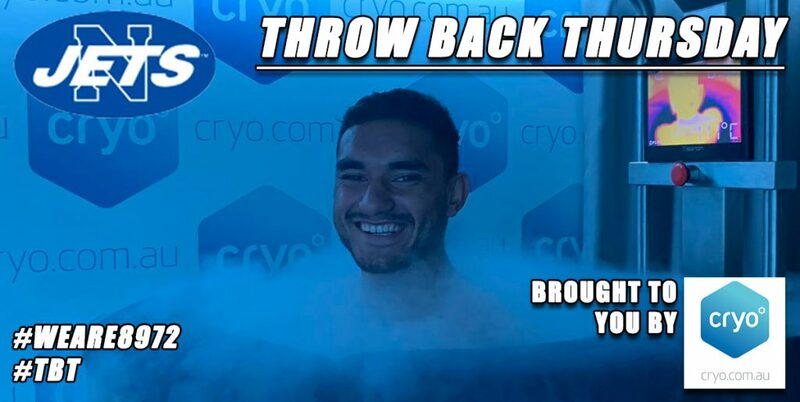 Former Wests Tigers winger Corey Brown, on debut for Newtown in the NSW Cup, was involved in Gagan’s first try and also when centre Blake Ayshford scored a try eight minutes from full-time that put the result beyond any doubt. Coach Matterson rated this as a valuable win, saying it was a great rebound after taking a hammering from the New Zealand Warriors two weeks earlier in Auckland. 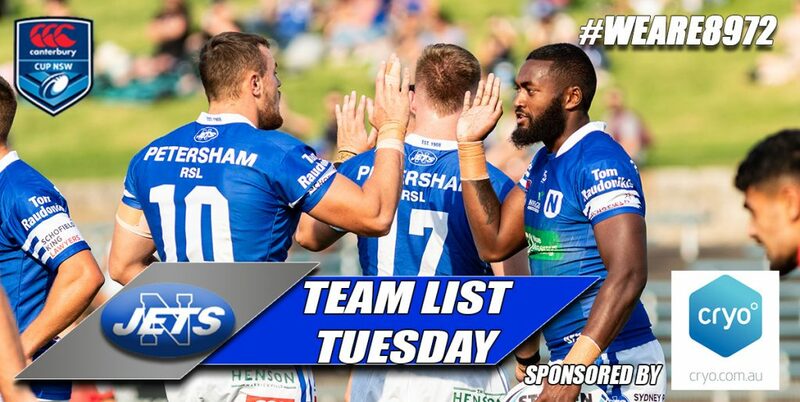 These were well-earned competition points bearing in mind that Newtown had fielded a less than full-strength team due to injuries in the Cronulla Sharks NRL ranks. The Jets coaching staff paid tribute to players such as Tarek El Masri, Daniel Abou-Sleiman and the pacey Corey Brown who had come into the team because of call-ups into the Sharks NRL squad and had performed well. Andrew Pearn, Kurt Kara, Tim Robinson and Blake Ayshford had all stepped up and put in strong showings when they were most needed. Todd Murphy had constantly worried the Cutters defence and fullback Nathan Gardner caused plenty of problems for the Illawarra team whenever he carried the ball forward. 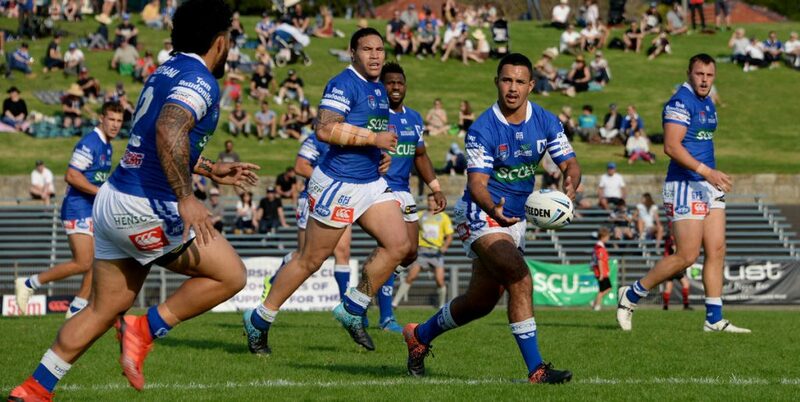 The Newtown Jets now head into an old-style local derby against Canterbury-Bankstown, with the Bulldogs hosting the Jets at Belmore Sports Ground next Saturday, 16th May. 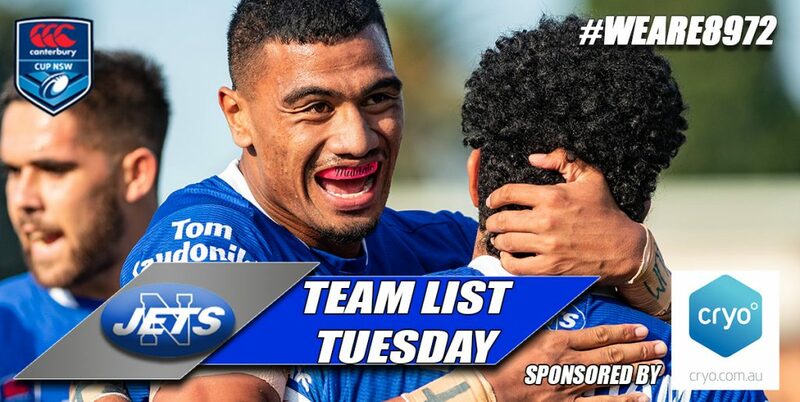 This 10th round NSW Cup fixture gets underway at 3.00pm.